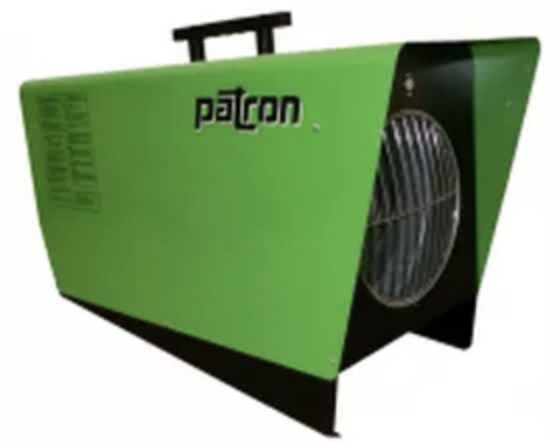 Cool It Now uses Patron E Series fan-forced electric heaters which set the standard for heavy-duty portable electric heat. They feature rugged construction, a powder coated steel housing, and a high quality sealed motor. Each unit is equipped with overheat protection and stays cool even when the heater is running. They are capable of a very quick and high temperature rise, with the industrial-grade fan distributing warm air powerfully.